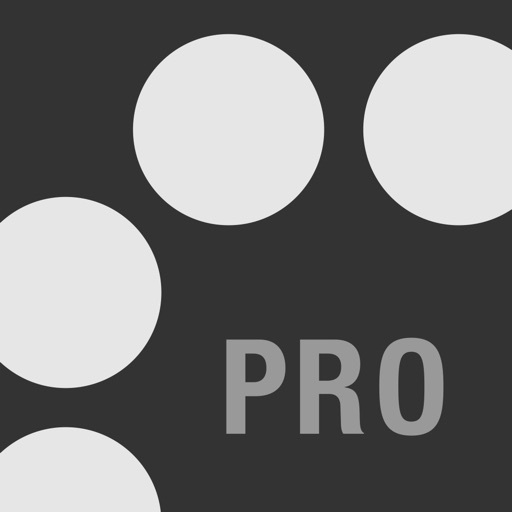 This is one of the best free camera replacement apps out there. It's from the same developers as the popular Gorillacam, and seems to be its replacement (although Gorillacam is still available, it hasn't been updated in a while). 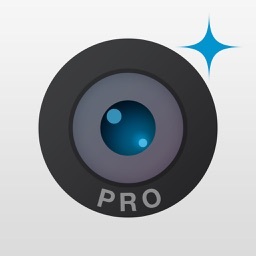 This app offers such features as self-timer, burst shot, press anywhere shutter, geotagging, anti-shake, tap to focus, and more. The time lapse photography feature allows you to create a stop motion film. Share directly to Twitter, Facebook, Flickr, YouTube, or email. For free, it's a great bargain. GorillaCam Pro by JOBY is the one-stop camera app you've been waiting for! 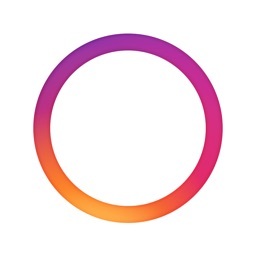 Produce fantastic stop motion animation videos, stunning time-lapse photo series, fun self-timer shots or rapid-fire snaps — all in one easy-to-use app! The Pro version enables remote control between 2 devices, provides additional time-lapse and stop motion features, and removes in-app ads. GorillaCam Pro is fully compatible and optimized for iPhone 7 and iOS 10 and has great new features and bug fixes! 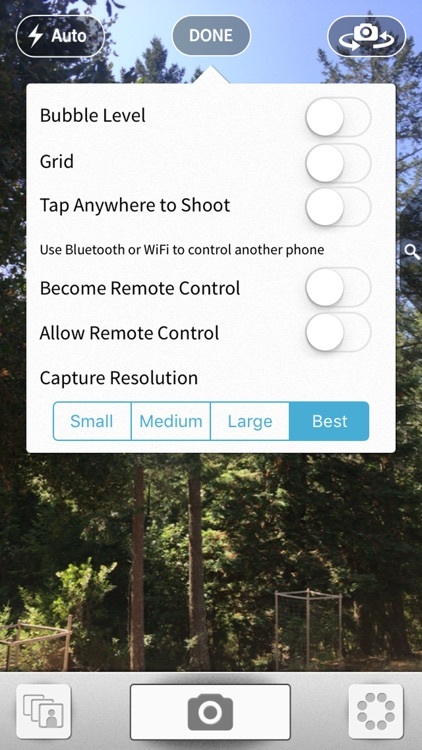 You can now use GorillaCam on one device as a remote control for GorillaCam on another device! It's great for stop-motion, hands-free selfies, and so much more. A GorillaCam Pro version is required to act as remote-control to a GorillaCam Pro or Standard version on another device. Choose from 1 - 120 second time delay. Perfect for group shots or shake-free shots! 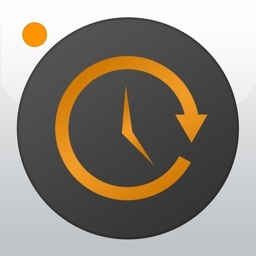 Self-timer Countdown Notification: App will beep once a second for three seconds before the photo is taken. Silence your iPhone to disable beep and shutter noise. Take a series of photos in rapid succession as fast as the camera can shoot so you never miss a shot. Choose between 3 - 60 shots. Perfect for sports and kids! Combine Self Timer and Burst Mode to take a rapid-fire photo series after a time delay! After you hit the shutter, GorillaCam will wait until the camera is steady and then automatically take the photo. Set your Capture Time and Playback Time and let GorillaCam do the rest! GorillaCam will take a series of photos and then stitch them into a time-lapse video while you sit back and relax. Have precise control over your time-lapse videos. Set number of shots, interval between shots and playback frames per second independently. Take Photos. Saves a series of photos in your photo library instead of stitching the photos into a video. This is great if you want to edit the photos individually in postproduction, add/delete or rearrange frames, or experiment with different playback rates on your computer. Press the shutter to capture each frame of your animation. When you're done, GorillaCam will stitch the photos into a video! 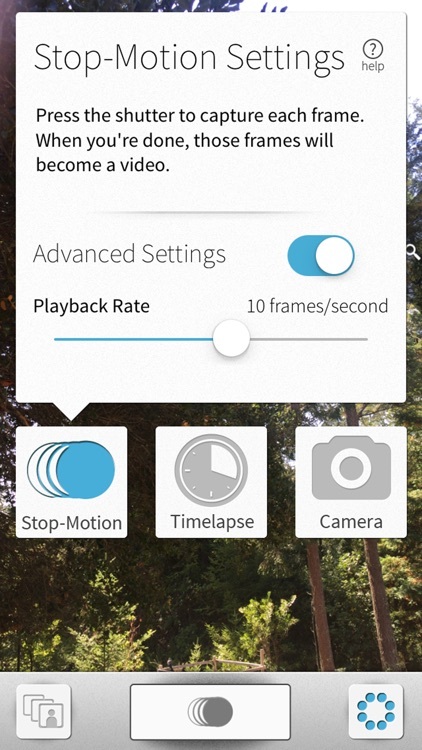 Set the Frames per Second playback rate for your stop motion videos. The entire screen becomes the shutter button so you can more easily shoot in camera, stop motion or time-lapse mode from even the craziest of angles. 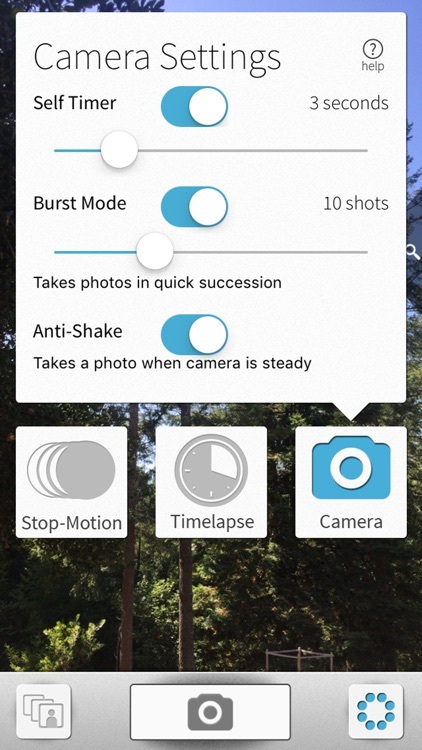 The camera's built-in auto-focus and auto-exposure are used during Tap Anywhere to Shoot. 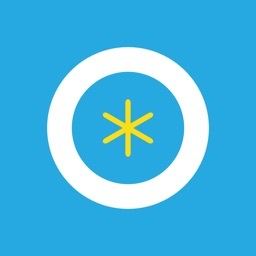 Get perfectly level photos every time in portrait or landscape mode! Choose the image size that’s right for your shoot. 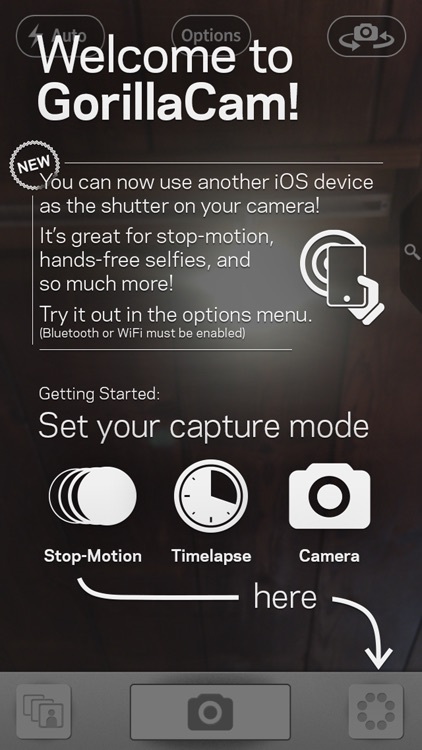 Choose "Best" to use the full resolution of the iPhone camera. Pick lower settings if you want smaller images or file sizes. Shoot in any mode with the front or back-facing cameras. We strongly recommend back-facing camera for higher quality shots. 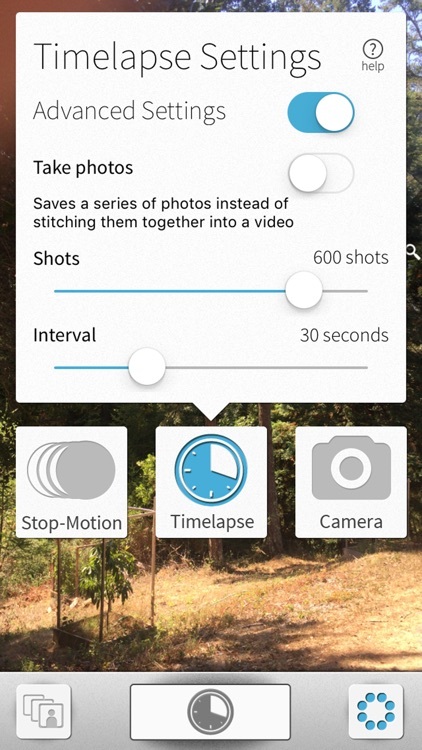 Quickly review your stop-motion or time-lapse video before sharing with your friends! JOBY makes a wide range of iPhone mounting solutions to compliment your GorillaCam photography, such as tripods, clamps, mounts, grips, and more. Visit your local Apple Store or Joby.com to see how we can help you create fantastic photos and videos! 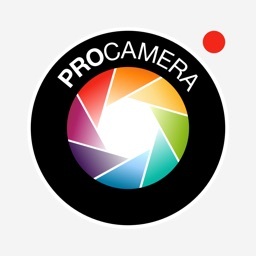 We want to hear what great projects you are using with GorillaCam Pro! Please leave us feedback via social, email or reviews to help us decide what features to work on! If there are bugs, please let us know what iPhone/iOS version you're using. Turn your photos from cool to awesome with the five apps on today's show. These are just a starter kit, we have even more to come!